The two big stories which will shape the paper world are the Greece crisis and the Ukraine crisis. Germany seems to have many doubts that Greece will carry out the reforms it promised. Actually unless funds start coming in next week, they may default anyways. We have many stories on these two fronts for you tonight. The gold comex today had a good delivery day, registering 266 notices served for 26,600 oz. Silver comex registered 9 notices for 45,000 oz . Three months ago the comex had 303 tonnes of total gold. Today the total inventory rests at 259.32 tonnes for a loss of 44 tonnes over that period. In silver, the open interest fell by only 553 contracts as Tuesday’s silver price was down by 6 cents. The total silver OI continues to remain relatively high with today’s reading at 166,676 contracts. The front month of March contracted by only 9,271 contracts with only 2 days before first day notice. Also the entire silver complex has not collapsed yet as is their usual procedure when we approach the first day notice for an active contract month. We had 9 notices served upon for 45,000 oz. In gold we had a good rise in OI even though gold was down by $3.40 yesterday. The total comex gold OI rests tonight at 399,307 for a gain of 739 contracts. Today we had 266 notices served upon for 26,600 oz. The total gold comex open interest rose by 739 contracts today from 398,568 up to 399,307 as gold was down by $3.40 yesterday (at the comex close). We are now in the big delivery month of the active February contract and here the OI fell by 0 contracts remaining at 362. We had 0 contracts served upon yesterday, thus we neither gained nor lost any additional ounces standing in this delivery month . The next contract month of March saw it’s OI fall by 156 contracts down to 602. The next big active delivery month is April and here the OI fell by 862 contracts down to 264,156. The estimated volume today (which is just comex sales during regular business hours of 8:20 until 1:30 pm est) was awful at 72,319. The confirmed volume yesterday ( which includes the volume during regular business hours + access market sales the previous day) was poor at 127,740 contracts even with mucho help from the HFT boys. Today we had 266 notices filed for 26,600 oz. And now for the wild silver comex results. Silver OI rose by 553 contracts from 166,123 up to 166,676 as silver was down by 6 cents with yesterday’s trading. The bankers are still not able to shake many silver leaves from the silver tree. We are still awaiting the usual collapse in OI as we get closer to first day notice. We are now in the non active contract month of February and here the OI remained constant at 12 contracts. We had 0 notices filed on yesterday so we neither gained nor lost any silver contracts in this February contract month . The next big active contract month is March and here the OI fell by only 9,271 contracts down to 24,585. 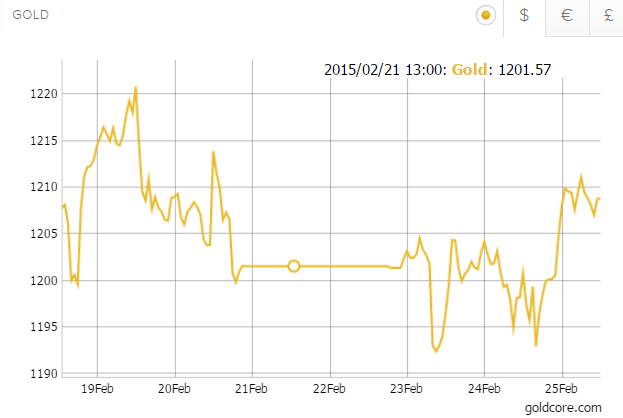 First day notice for the gold and silver February contract months is on Friday, Feb 27.2015 or 2 trading days away. The March OI is still extremely high. The estimated volume today was good at 54,647 contracts (just comex sales during regular business hours. The confirmed volume yesterday was excellent (regular plus access market) at 69,844 contracts. We had 9 notices filed for 45,000 oz today. The farce with kilobars continues!! i) Out of Brinks: 192.90 oz (6 kilobars) was adjusted out of the customer and this landed into the dealer’s account at Brinks. Today, 0 notices was issued from JPMorgan dealer account and 0 notices were issued from their client or customer account. The total of all issuance by all participants equates to 266 contract of which 0 notices were stopped (received) by JPMorgan dealer and 261 notices were stopped (received) by JPMorgan customer account. we neither gained nor lost any gold ounces standing in this February contract month. Several weeks ago we had total gold inventory of 303 tonnes, so during this short time period 44 tonnes have been net transferred out. However I believe that the gold that enters the gold comex is not real. I cannot see continual additions of strictly kilobars. i) Out of CNT: 30,014.000 oz ???? 432 contracts x 5000 oz= 2,160,000 oz + (12) OI for the front month – (9) number of notices served upon x 5000 oz per contract = 2,175,000 oz, the number of silver ounces standing. we neither gained nor lost any silver ounces standing in this February contract month. 1. Central Fund of Canada: traded at Negative 5.9% percent to NAV in usa funds and Negative 6.0% to NAV for Cdn funds!!!!!!! Note: Sprott silver trust back into positive territory at +2.95%. Being involved in the fairly niche business of an international gold brokerage for nearly 12 years now, we find ourselves continuously engaged in conversation with people who demonstrate an incredible lack of understanding of the function of gold and the importance of gold as a DIVERSIFICATION and as a SAFE HAVEN asset. This lack of understanding is not confined to the public but also prevalent with some financial experts. One example of this is one of the more vocal anti gold experts in recent months – leading Bloomberg columnist Barry Ritholtz. This lack of understanding results in many investors being very exposed and at risk of financial losses due to their significant over exposure to paper assets and fiat digital currencies andcomplete lack of any allocation to gold whatsoever. These experts are highly intelligent people. As are many in the public and yet the concept of diversifying and having an allocation to gold is utterly foreign to them. The public have little terms of reference except for movies such as Goldfinger and fairytales about Leprechauns and crocks of gold. Indeed, their primary reference point is often jewellery, wedding rings and of course the recent ‘cash for gold’ phenomenon. They have no understanding of the central role gold plays in macro-economics, geopolitics and of course monetarily. They have no knowledge of the fact that gold has protected people throughout history from financial and economic crashes and from currency devaluations. The significant body ofacademic research on gold showing it to be a hedging instrument and a safe haven asset is ignored and unknown. We find ourselves constantly confronted by the same set of ill-informed opinions on gold. Many of these misconceptions were encapsulated in a 2013 article by Barry Ritholtz, with the peculiar title “12 Rules of Goldbuggery”. 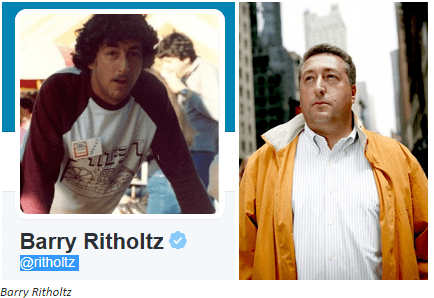 Oddly, we happen to agree with a lot of what Ritholtz has to say. There are some – among the diverse range of people online who promote ownership of physical bullion coins and bars – whose enthusiasm for the metal can border on religious zeal. They are a minority. At the same time we feel that Ritholtz’s article was somewhat disingenuous. 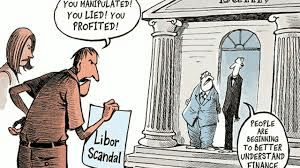 It was unbalanced and simplistically denigrates gold ownership – ignoring academic research and indeed history and the experience of recent years – the U.S. and Euro zone debt crisis, Lehman Brothers etc. The article was very widely disseminated and will have discouraged many investors from allocating to gold in a properly balanced portfolio. The immediate problem with critiquing the disparaging remarks in “Goldbuggery” is that Ritholtz doesn’t approach his distaste for gold head-on. Instead he puts words in the mouth of apparent“gold bugs”. He therefore avoids making statements he may later regret. Certainly, some of these views are held by some gold buyers but, in our experience with our clients, they are by no means the mainstream view in the gold community. One has to ask – why the silly name calling regarding gold. Why use a pejorative and derogatory term for those who own physical gold to protect themselves from market turmoil and currency devaluations? It suggests an anti gold agenda or at least anti gold beliefs. Let us now look at Ritholtz’s Twelve Rules of Goldbuggery. We will look at each of these contentions and deconstruct them one by one. That gold is a form of currency and money is self evident. If it were not, central banks, particularly in Asia, would not be buying vast amounts of it and Western central banks would not continue to be holding vast amounts of gold reserves. When the U.S. shut Iran out of the SWIFT system Iran began successfully trading oil for gold. In extremis, at this time and place in history, gold is the ultimate form of payment as Alan Greenspan recently pointed out. Placing monetary value in a piece of metal is an abstraction, we agree. However, in practical terms there is no company, currency or empire that has outlived the value that man has placed on gold. Maybe the time will come when humankind devise a more sophisticated means of exchange but in the here and now gold is money. In the not unlikely event of a monetary crisis, with currencies based on confidence alone today, gold – which has industrial applications and psychological appeal – will again retain value and outperform. The ECB’s Mario Draghi said gold is a monetary “reserve of safety”. 2. The price of gold cannot fall, it can only be manipulated lower. Like all currencies gold fluctuates in value relative to other currencies. No rational person would ever state otherwise. At the same time there is mounting evidence that violent downward swings in the price of gold have been orchestrated by large banks. This is achieved by dumping large contracts for gold which they are not in physical possession of (naked short selling) onto the market during quiet periods when there are few buyers to support the price. In fairness, Ritholtz wrote his article before it was exposed last year that banks were rigging practically every market on the planet and continue to do so. This week it has emerged an astounding ten of the major banks may be directly involved in rigging the gold-price are now being investigated by the Department of Justice in the US and by the CFTC. Under investigation are the household names of International banking including Barclays PLC, Deutsche Bank AG, Credit Suisse Group AG, UBS and Societe General. Of course no banking scandal is complete without JP Morgan Chase & Co. and Goldman Sachs Group Inc. This is possible. As is the possibility of a tactical retreat whereby banks aware that physical demand may overwhelm their manipulation of gold and silver prices decide to gradually allow prices to rise, hoping that this will dampen physical demand and they can cap prices at higher prices. Ultimately, the price of most things will be dictated by the forces of supply and demand of the nearly 7 billion people on the planet. Banks can prevent price discovery in the short term but in the long term, the small physical gold market will dictate the price. Ritholtz fourth rule – that the world “MUST” return to the gold standard one day – is also not a view widely held in the gold community. Certainly, there is a potential for such – and some would suggest a necessity – but nobody knows what political action will be taken in different countries if confidence is finally lost in the world’s erstwhile reserve currency – the dollar. If China and the Eurasian Economic Union headed by Russia choose to partially back their currencies with gold, which seems possible given the huge volumes they have been accumulating, they could potentially challenge the dollar’s role as reserve currency. In such a case it is not unreasonable to suggest that the U.S. might be forced to back it’s enormous debt with the 8,500 tonnes of gold it claims to have. In such a case the very high prices of gold that Ritholtz ridicules – such as $15,000 – would not be so completely outlandish – although there are many more conservative estimates of gold over $5,000 per ounce. Of course the purchasing power of those dollars would be greatly impaired. This is precisely why we advise clients to own gold. It is not necessarily for building wealth but for protecting it. This is true and to suggest otherwise is misguided. Central banks are printing money hand over fist. This will inevitably destroy the purchasing power of currencies in the long term. There is no precedent in history for the scale of the currency debasement of central banks in the past fifteen years. Whether or not the central bankers have finally, this time, perfected the alchemy of wealth creation through money printing is yet to be seen. Prudence would dictate that one takes measures to hedge against the typical outcome of such monetary incontinence throughout history. That is, uncontrollably high inflation. Historically gold has behaved as such a hedge. Ritzholtz says that “gold-bugs” try to ignore the fact that gold had not gone markedly higher in the two year period before he wrote his piece despite massive QE. Well, as Alan Greenspan explained in his address to the CFR last year, QE had not caused the desired inflation because all the cash got swallowed up in the stock markets or was loaned abroad causing high inflation in emerging markets. Should the stock market bubble burst or should emerging markets shed their dollars, a wave of dollars will hit the real economy in the U.S. engendering very high inflation. Whether gold performs its traditional function in this scenario remains to be seen but in the absence of any other alternative we are confident that it would. The purpose of owning gold is to hedge risk and protect against uncertainty. When things go very bad it rises as one’s other assets fall, cancelling or at least reducing the loss. Ritholtz mockingly refers to it as “a trade that never fails!” Owners of physical gold do not view gold this way. They do not speculate with it. They hold it as an insurance policy that has no counter-party risk. Generally, gold performs better when the economy is bad. However, we live in a very uncertain world and no one can protect the economic cycle hence the vital importance of DIVERSIFICATION. The assertion is that if the world economy collapses, we would be in a post-apocalyptic ‘Mad Max’ type scenario. This is childish nonsense. Industrial, technological and agricultural capacities would remain intact for the most part. Social chaos and war may ensue during the transition with some resulting destruction but by and large trade would continue in most parts of the world. The economic catalyst for a collapse in the global economy, should it happen in these times, would likely be the failure of paper currencies due to gargantuan unpayable debt. In such a climate it is reasonable to suggest that gold could be the last man standing. It may not be held in great esteem in the West but in the East, it certainly is. In the event of a currency collapse exporters will expect something of value in exchange for their produce. When faced with a choice between unlimited paper and digital fiat currencies with no tangible backing on one hand and gold-backed Eurasian or Chinese money on the other, it is reasonable to speculate that they will choose the latter. Ritholtz lists periods when gold has not performed well in dollar terms, choosing to ignore the intervening periods in which it thrived. Data mining is such an easy thing to do. One could pull similar rabbits from a hat to disparage the Dow Jones and S&P and other benchmarks. The difference is that owners of physical gold still owned something at the end of a bad period whereas owners of stocks and shares of many companies lost everything. Also gold was money throughout many of the periods cited as dollars were backed by gold. Gold has a fixed price of $20 per ounce and then $25 per ounce and it was not a freely traded market. Therefore it is unfair and disingenuous to compare it to stocks, traded markets or other speculative ‘bets’. This is another sweeping generalisation. Many of our clients believe this. Most don’t. Most do not ‘reject’. Many are concerned. Owning gold needs no ideological basis. True, it can protect one from the stupidity of the types of politician and policy maker who have destroyed economies throughout history. Owning gold as protection from government stupidity and corruption is not a rejection of government per se. The wise Founding Fathers of the U.S. were adamant that gold and silver – and nothing else – were money. So much so that they had it written into the constitution. Did these “goldbugs” reject the concept of government? Or rather did they see the benefit of having monetary controls on bankers, politicians and governments? This is another sweeping generalisation. Some gold analysts make ominous forecasts. Others do not. Some stock and bond market analysts make ominous forecasts. Others do not. We generally do not make forecasts. We address macro-economic and geopolitical facts and highlight the unavoidable conclusion that there is very high, perhaps unprecedented economic and geopolitical risk in the world today for which people should be prepared. Ritholtz suggests that gold analysts “avoid empirical data at all costs.” This is nonsense. We, and many of our competitors in the gold business, consistently use important data, much of which is studiously ignored by many bank and other economists when they conflict with the official narrative of “green shoots” of recovery. This is a statement of fact – especially in this era of currency devaluations and currency wars. Obviously, the price of gold in another currency has no immediate bearing on the price of gold in an investor’s own currency. However, it is highly relevant in demonstrating how owners of gold manage to preserve some of their wealth when the economy of the country in which they live is mismanaged and has an economic and or monetary crisis. 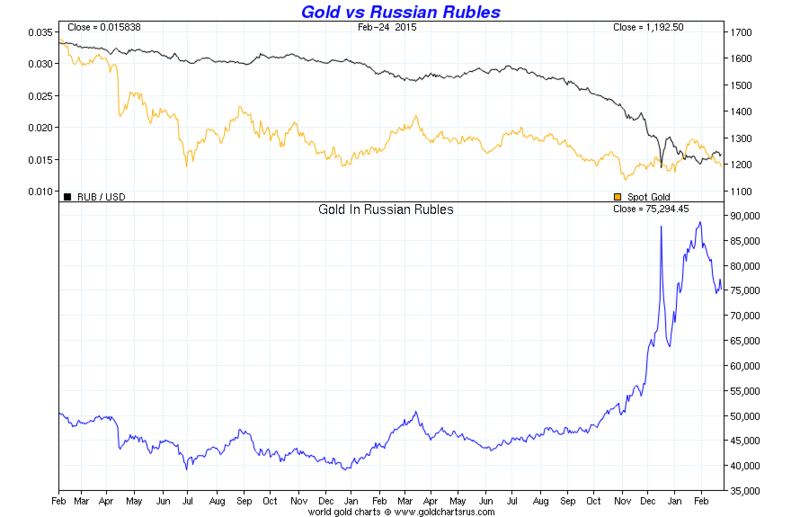 Gold priced in roubles rose 75% in 2014, during the Russian economic crisis. This aptly demonstrates the role gold plays in economic crises and it is relevant information in highlighting the case for owning gold. Gold is again acting as a hedge against currency weakness and the ongoing devaluation of currencies as stealth currency wars continue. The focus on gold solely in dollar terms is misleading. It shows a peculiarly dollar centric way of looking at the world. It is important for investors in the UK, EU, Japan and elsewhere to always consider performance in local currency terms and top not lose sight of the fact that all fiat currencies are being devalued today – including the dollar. This is true too. Go to India, China and Asia and talk to ordinary people and you will quickly realise this. The people of China and India live in societies where wealth has been periodically extracted from them through currency devaluations. Therefore, they have a natural affinity for gold as insurance and as a store of wealth. It is not a matter of them “knowing” the value of gold. What is important is that actual direct experience has caused a mass of people – that compose one third of the entire population of the globe – to value gold. Gold will remain a store of value for most Asians for the foreseeable future, thus supporting the price that people are likely to pay for it – especially in a crisis. Western populations, except perhaps for Germans, are not prepared for a potential monetary crisis and severe inflation. They do not understand the potential for even deeper currency devaluations and the role that gold would play protecting their wealth in such a scenario. This concludes our reply to Ritholtz’s 12 rules. As you can see, they are misleading and misrepresent the case for owning gold. Gold has proven itself a safe haven both historically and again in recent years. There is now a large body of academic and independent research showing gold is a safe haven asset. Numerous academic studies have proved gold’s importance in investment and pension portfolios – for both enhancing returns but more importantly reducing risk. The importance of owning gold in a properly diversified portfolio has been shown in studies and academic papers by numerous academics and by Mercer Consulting, New Asset Frontiers and the asset allocation specialist, Ibbotson. This is not an attack piece on Ritholtz. As we said at the outset we share his views on many matters financially. Rather it is an attempt to try and engender a more fair, balanced, nuanced and enlightened debate about gold as an asset and a safe haven. As a frequent contributor to Bloomberg, I would welcome the opportunity to debate this with Barry. Today’s AM fix was USD 1,206.50, EUR 1,062.06 and GBP 777.99 per ounce. Yesterday’s AM fix was USD 1,195.50, EUR 1,057.97 and GBP 774.59 per ounce. Gold fell 0.16% percent or $1.90 and closed at $1,200.20 an ounce on yesterday, while silver slipped 0.43% percent or $0.07 closing at $16.25 an ounce. Gold jumped 1 percent in late Asian trading after falling to a seven-week low in the prior session, as Fed Chair Janet Yellen’s dovish tone hinted at flexibility in raising U.S. interest rates – meaning she is happy to hold them near zero for as long as possible. The timetable for the Fed’s interest rate hike is now perhaps June through September – if even that – ZIRP looks here to stay. Yellen’s comments sent the U.S. dollar lower, and stoked a rally in precious metals with silver rising over 3 percent and palladium reaching a six week high. 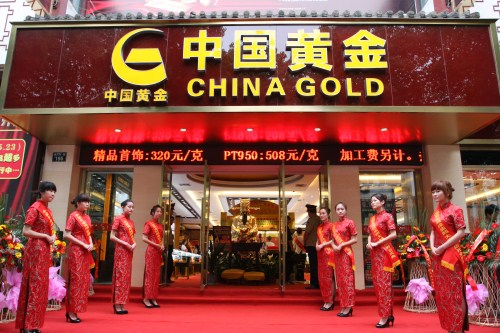 China’s return from its Lunar New Year break also strengthened gold prices, with premiums on the Shanghai Gold Exchange (SGE) rising to $5-$6 an ounce over global spot prices, from $3-$4 before the New Year’s holiday. Now we have the Swiss competition commission, WEKO, looking into the gold/silver price manipulation! I am truly surprised that they have woken up from their 20 year slumber!! Feb 24 (Reuters) – Switzerland’s competition commission WEKO is looking into possible manipulation of price fixing in the precious metals market, its spokesman said on Tuesday. The gold and silver fixes, along with other commodity benchmarks, have come under increasing scrutiny by regulators in Europe and the United States since a London Interbank Offered Rate (Libor) manipulation case in 2012. 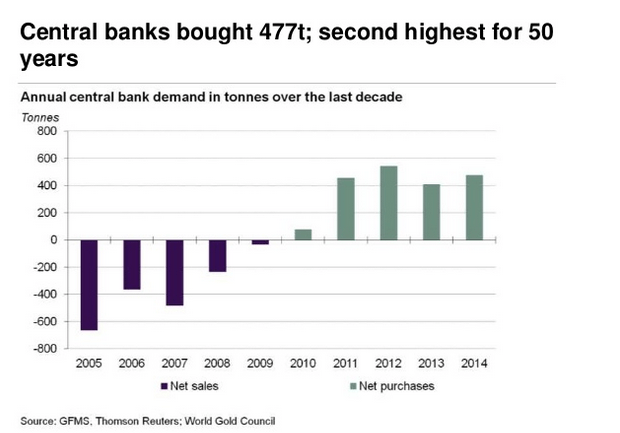 The century-old gold fix is a standard price for the metal that banks set twice a day over the phone. It strikes us that it was passing strange for Chairman Janet Yellen to wave a copy of the central bank’s audited financial statement as a prop in answering Congress on Senator Rand Paul’s “Federal Reserve Transparency Act.” She did this today at the hearing of the Senate Banking Committee. Her suggestion that a standard financial audit is what the Transparency Act is all about was almost contemptuous. So was her suggestion that the bill that has already twice passed the House — September’s bipartisan vote was 333 to 92 — is somehow designed to politicize monetary policy. Just to underline the point, what Mrs. Yellen held up was an audited report of the kind that is done by accountants using green eyeshades. What the Congress wants is a look not only at the books but also at the Fed’s holdings and minutes and transactions overseas. It is not an attempt to interfere with Fed policy. It is an attempt to find out what the Federal Reserve is doing. It’s just shocking that the Federal Reserve would want to deny to its creator this kind of inspection once every, oh, say, century. NEW YORK — Bank of New York Mellon Corp. is in settlement talks with the U.S. Justice Department and New York attorney general over claims the bank defrauded clients in foreign exchange transactions, according to sources familiar with the matter. BNY Mellon last week revealed that it would take a $598 million charge as it sought to resolve matters including “substantially all” foreign exchange litigation it faced, though it did not specify which cases. The bank faces several lawsuits, including class actions, stemming from allegations that it misled clients about how it determined currency exchange rates for certain transactions. A similar investigation of the manipulation of the gold market by European banks was quietly squashed. It’s reasonable to surmise that investigators quickly discovered that the biggest banks were often doing the bidding for central banks to keep excess liquidity flowing into financial assets instead of gold. Many of us in the precious metals community have been conjecturing, based on silver’s particular buoyancy since Halloween, that the bullion banks who are massively short paper silver might have a bigger problem with delivering physical silver right now than they do with gold. There’s been plenty of “tracks in the snow,” like the huge volume of silver that moves in and out of the Comex silver vaults on a weekly basis, the unanticipated record amount of silver imported by India in 2014 and the stunning withdrawal of roughly 90% of the silver stock on the Shanghai Futures Exchange since 2013. I wrote an article recently for Seeking Alpha in which I defended my view that silver would be the best performing asset in 2015: Silver/Seeking Alpha. The black line shows that silver started to go parabolic until the bullion banks “stunted” the move on the day that the Government released the infamously phony non-farm payroll report. I have argued that they did us favor by slamming silver because parabolic moves are the “death” of a bull market. I also suggested that the silver would have healthy pullback and begin to head higher again. The blue line shows a more “healthy-looking” bull market trend developing. This week and last week the bullion banks worked overtime everyday after the Comex paper gold/silver market opened. And every time silver was smacked close $16, it popped right back up, typically on little or no possible news triggers. Today was another example of this. The point here is that silver should bought on every manipulated smack. If you want to accumulate a long term trading position, buy every hit and sell 1/2 your position on the bounce. But reload a little more than you sold on the next hit. If you want a silver mining stock play that will be a home run on the next big bull run in the metals, I would suggest this junior explorer/emerging producer for which I’ve written a detailed research report: Emerging Silver Producer/Free Cash Flow Positive. This Company started producing silver last year and is free cash flow positive before exploration costs. While the existing mine deposit has a lot silver, the Company controls several parcels of land near its existing operation on which the Company believe will contain, in aggregate, a lot more silver than at its existing mine deposit. In fact, the Company recently announced a new discovery on of these properties which contains near-surface gold and silver mineralization and confirms the potential for a low-grade oxide open pit operation from which it will be able to utilize the existing milling operation. This Company has the potential to be a home run in 2015 if my silver forecast is even half-accurate. Yesterday the Austrian Court of Audit (Der Rechnungshof) released a report on the Austrian central bank’s official gold reserves audits (Austria holds in total 280.0 metric tonnes). This report contains (official) critical notes regarding the safekeeping of the Austrian gold. The report is written in German, but from being Dutch (my native language is similar to German), using Google Translate, having spoken to Peter Boehringer about this and using the English introduction from the Rechnungshof’s report, we can squeeze the essential bullion points from the report. In end-2013, the OeNB (central bank of the Republic of Austria) stored some 82 % of its physical gold holdings at a depository in England [BOE] and therefore ran a high concentration risk. The current depository concept lacked adequate measures to reduce this risk. Additionally, the gold depository contract with the depository in England contained deficiencies. As regards the gold reserves stored abroad, internal auditing measures were lacking. The Austrian Court of Audit expresses great concern about the disproportionate amount of official gold reserves (229.6 tonnes) stored at the Bank Of England (BOE), which will be their excuse for repatriating, “the gold depository contract with the depository in England contained deficiencies” and, “gold reserves stored abroad, internal auditing measures were lacking”. They’re putting it blunt for an official source on a topic so sensitive as gold. The OeNB didn’t have any proper auditing rights or access to their own gold at the BOE until 2013. This is line with what Bundesbank executive board member Carl-Ludwig Thiele said in 2011, “We’re in negotiations with our partner central banks [FRBNY] to develop auditing rights.” Apparently, foreign central banks had no rights whatsoever to audit their own gold at the BOE or Federal Reserve Bank of New York (FRBNY) until 2013. In May 2014, for the first time, a delegation from the Austrian accountability office travelled to London in order to check on Austria’s gold reserves stored in vaults at the BOE. Strikingly the Bundesbank’s current gold repatriation schedule was released January 16, 2013. The Austrian central bank decided on January 17, 2013, to “adopt measures … in terms of the management of gold stocks … that should reduce the risk of asset losses of the OeNB”. Repatriating gold is highly contagious at the moment. …In Austria, the Court of Auditors has adopted the gold concept in its recent OeNB examination. In its draft report it provides the OeNB diverse recommendations. One of the key points: Given the “risk of a high concentration at the Bank of England”, the examiner advises to “rapidly evaluate all possibilities of a better dispersion of the storage locations”. Not only the parties should be diversified, but also the “actual spread of storing among locations”. The central bank has not ruled out such a relocation. The existing gold storage concept would be reviewed, potentially it will bring parts of the stored gold in the UK to Austria, OeNB experts have stated. Any changes will be decided upon security and economic criteria, according to the OeNB. A brief orientation on the current gold concept: Austria has 280 tonnes of official gold reserves, only a small part of (17 %) is kept in Vienna. 80 % of the reserves are located in London, the most trading partner in gold, 3% percent is stored in Switzerland. The composition of the gold holdings of the OeNB in the years 2009 to 2013 changed greatly. The proportion of non-physical inventory fell from 56% in 2009 to approx. 22% in 2013. Currently all gold loans ran out no later than September, 24, 2014. We can see Gold loans dropped from 116.451 tonnes in 2009 to 23.887 in 2013, down 79.49 %. Total non-physical holdings dropped from 156.589 tonnes in 2009 to 61.671 in 2013, down 60.62 %. Austria has unwounded all leases and is working towards being fully allocated. UNALLOCATED ACCOUNT An account where specific bars are not set aside and the customer has a general entitlement to the metal. … The holder is an unsecured creditor. The next chart demonstrates the composition of Austrians allocated versus unallocated gold. We can see that by end 2013 unallocated gold accounted for 61.68 tonnes, the same as the total non-physical holdings in the chart above. This chart reaches to December 2014, when Austria only had 15.58 tonnes of unallocated gold versus 264.41 tonnes allocated – nearly fully allocated. There is more information in the report that I don’t feel comfortable publishing as I haven’t discussed it with a native German speaker. Austria’s allocation policy has been the main reason the Eurosystem’s total unallocated gold dropped to from 232 tonnes in 2013 to 183 tonnes by the end of 2014 (France and Malta also helped). Reuters released an article on February 24, stating the Eurozone has increased its gold holdings by 7.437 tonnes to 10,791.885 tonnes in January 2015. I can’t verify this from the numbers I have. Perhaps it has got something to do with Lithuania joining the Eurosystem on January 1, 2015, though Lithuania holds only 5.8 tonnes (fully allocated). The article also notes Turkey has decreased its official holdings, though this is due to changes in Reserve Requirements commercial banks hold at the Turkish central bank (CBRT), not because the CBRT is trading on the open market – readthis post for more details on the Turkish gold market. Currently Germany, Estonia, Ireland, Greece, Italy, Cyprus, Latvia, Luxembourg, The Netherlands, Slovakia and Finland are fully allocated. As Ukraine’s socio-economic situation goes from wost to worst-er, today’s announcement by President Poroshenko that the government will take actions to stabilize the currency (which as we previously noted, appears to be heading for hyperinflation) has Ukrainians rushing for the exits into precious metals… with only one goal in mind – wealth preservation. Furthermore, according to RIA, on Tuesday, Ukrainian television channel Ukraina announced that with the new exchange rate, the minimum wage in Ukraine stands at around $42.90 per month, which according to the channel, is lower than in Ghana or Zambia. There are currently no plans to raise the minimum wage until December. “Food prices among producers rose 57.1 percent, with the price for grains and vegetables rising 91 percent from January 2014 to January 2015, while the official inflation rate over the period totaled 28.5 percent. Nothing to fear though: we are sure all that hard-earned US taxpayer-lent money will be safe and sound. In case you had not noticed, we live in a crazy upside down sort of world. We could go into the social aspect of this but it would only make our collective blood pressures go up. The same thing goes for politics, religion and let’s not forget an entire industry that used to pride itself on digging for the truth, the media. Nothing, and I do mean NOTHING “is” really as it seems today. Everything is spun, everything is either glossed over or not even discussed (reported on) and nothing is real anymore. Somehow, I think Goebbels is blushing in his grave and Orwell kicking himself for not being outrageous enough when he wrote 1984. Now would be a good time to revisit something we’ve looked at many times before, namely which is the better deal? Is one ounce of gold better than 1,200 one dollar bills? Or euros, yen, pounds or what have you? The reason this has come to my mind in this fashion is because our world of fiat money now has negative interest rates for about 15% of all sovereign debt (and growing quickly). Zerohedge just released an articlehttp://www.zerohedge.com/news/2015-02-23/20-central-banks-have-cut-rates-2015-after-surprise-rate-cut-israel-record-low-01 talking about 20 central banks already in this new year cutting their interest rates. The obvious takeaway from this is investors are being forced to scramble for yield, any yield no matter how dangerous. Savers have been and now even more so, are being forced to do things (invest) they would never in their wildest dreams have done 10 years ago. As mentioned a few weeks back, there are now even negative interest rates on mortgages in Denmark. This means your mortgage will get paid down by your institution over time as long as you can make the monthly amortization payment. Who in their right mind would not borrow as much as they could to buy as big a property as possible? Think about it, you get to borrow in a paper currency where the central bank WANTS inflation (a debasing currency) and the issuing bank will help you pay down the principle. This is a no brainer! On the other side of the ledger however are “savers”. Who in their right mind would “lend” currency at negative interest rates? Your prospects in the real world and in black and white are ridiculous. You are lending money where your “balance” decreases each year and then, what will you receive upon maturity? You will receive “currency” the central banks are telling you ahead of time …they wish to, plan to and will do everything they can …to devalue! Does this make any sense? Locking in a shrinking balance in a currency the issuer wishes to “shrink”? Which then is better? An ounce of gold which is unshrinkable or 1,200 one dollar bills which shrink every time you do your laundry. So the world’s central banks are continuing to lower interest rates and “zero percent” is no longer a lower bound, why? Why are central banks pushing so hard for lower interest rates? Yes I know, they say “lower rates will help the economy” … blah blah blah. Really? Has it worked? Would you like to know the REAL reason interest rates have been pushed down? Because if they were not, sovereigns from A-Z would already be seen to be insolvent. A large and growing percentage of the world’s sovereign nations now have a debt to GDP ratio of 100% or more. Big deal right? Well, yes it really is but for “now” it isn’t “seen” as one. Historically, whenever a nation went beyond 100% debt to GDP ratio …they soon became a banana republic where their issued currency collapsed and sovereign bonds offloaded in panic fashion. This of course meant that interest rates exploded higher and more currency was needed to be issued to support the debt market …setting off a cycle of hyperinflation. Not an isolated problem, the globe is on the verge of becoming one big unhappy banana republic! Globally, banana republic status is the crossroads the world now stands at. Yes, we currently live in a world with deflationary tendencies because the giant sized debt loads are crushing everything …including the sovereigns themselves. With little to no warning at all, this will turn on a dime because of human nature. Human’s are a funny animal. Greed is a powerful emotion, fear is even greater. In the monetary world, once “fear” becomes the predominant notion then another factor will kick in. Just as a dog with a bowl full of food wants the other dogs food, man always craves what he cannot have. When, not if, gold and silver go into hiding, “man” will want them even more. It is this emotion which will collide with a mine supply which has already peaked while Western vaults are substantially empty. I decided to write this because I believe hyperinflation is broadly misunderstood by most. Most believe hyperinflation can only happen when a central bank creates too much “money”. The over creation of money is certainly one necessary condition but alone will not spark hyperinflation. It is a break in confidence which ignites the fire. We stand today in a world where all of the conditions exist for a massive fire which will destroy much of the accumulated paper wealth of the last 100 years or more. The only thing lacking to get this bonfire raging is a break in confidence. 3fOil: WTI 49.50 Brent: 58.97 /all eyes are focusing on oil prices. This should cause major defaults as derivatives blow up. 3s Negative German 5 year bond yield for first time. Following the first of two Janet Yellen testimonies to Congress, the market read between the lines of what the Fed Chairman said when she hinted that “the Fed needs confidence on recovery and inflation before beginning to raise rates” and realized that the case of a June rate hike is suddenly far less realistic than previously expected, as a result not only did we see another blowoff top in stocks to fresh all time highs, a move which sent the USD lower, has pushed the median EV/EBITDA multiple to the mid 11x (!) range and the forward PE to just shy of 18x ironically coming on a day when the Fed itself warned about “stretched” equity valuations, and led to brisk buying of global Treasurys across the board, pushing the 10 Year in the US back under 2%, and due to the global convergence trade (because if the Fed returns to QE, it will be forced to buy up Treasuries not just in the US but around the globe, since net issuance including CBs globally is now negative) and leading to today’s German 5 Year bond auction pricing at a negative yield for the first time ever. Then again since the breadth of the “market” is now defined by just 5 stocks which are responsible for the parabolic move in the Nasdaq in the past two months, talking about a market is no longer meaningful, and any attempts to forecast what a central-bank dominated market will do are now more futile than ever. One thing that will surely impact stocks again, will be Yellen’s second day of testimony, this time before the Senate, where her prepared remarks will be the same, however where she is now expected to be forced with more aggressive questions than the generic fluff the members of the House lobbed at her yesterday, with the possible exception of Elizabeth Warren’s demands for a “Yes or No” answer on whether Citigroup runs Fed policy now by drafting swaps push out laws. So, to keep it easy, here is what has already happened: European equities reside in negative territory across the board albeit modestly so, with things pretty light in Europe so far this morning. On a sector specific basis, energy names lead the way lower in a continuation of yesterday’s move despite oil prices holding their own this morning. Price action nonetheless has been more defined across fixed income products with core paper continuing to rally in the wake of comments from Fed Chair Yellen whose remarks were perceived as more dovish than markets were expecting, leading to markets now pricing in a 66% probability of a FFR hike in Oct. From a UK perspective, Gilts have been outperforming in early trade as UK paper plays catch up with US and GE paper which rallied after the UK close yesterday. Asian equity markets initially traded mostly higher after taking the lead from another record Wall Street close for the DJIA and S&P 500. However, Nikkei 225 (-0.1%) was unable to hold on to its earlier advance after fluctuating between losses and gains, amid a strengthening JPY. Shanghai Comp (-1%) and Hang Seng (-0.1%) traded lower after a mixed Chinese February HSBC Flash Mfg. PMI which rose to a 4-month high (50.1 vs. Exp. 49.5 (Prev. 49.7), although export orders fell by the most since Jun’13. JGBs gained 29 ticks, lifted by spill-over buying in USTs yesterday’s and the BoJ buying a total of JPY 1.18trl worth of government debt from the market. Despite the upside for Gilts, GBP actually outperforms in the FX market this morning as policy divergence takes precedence given the dovish outcome of Yellen’s speech compared to more hawkish commentary from the BoE of late. More specifically, BoE’s Forbes yesterday said that gradual increases in interest rates should support the economy in the UK adding that low inflation present at the moment will fade quickly while BoE’s Weale said that the BoE may have to lift rates before the time frame which markets are currently expecting. Elsewhere, given the move lower in US yields, USD has continued to trail its major counterparts, much to the benefit of EUR with EUR/USD making a technical break above yesterday’s highs while EUR/GBP manages to remain resilient to the broad-based GBP strength. Finally, CAD has managed to hold onto its gains against the Greenback in the wake of those less dovish than expected comments from BoC’s Poloz, which has resulted in markets scaling back their expectations for action by the central bank next week. In the commodity complex, both spot gold and silver remain in the green with the weaker USD aiding prices. Elsewhere, Copper saw a mild decline overnight, while iron ore prices were also weaker as the largest buyer China saw a subdued return to the market following the week-long Lunar New Year holiday. Despite the reprieve for precious metals markets, the energy complex has failed to capitalise from the move following last night’s API inventory report showed a smaller than previous build in stockpiles (W/W +8900k vs. Prev. +14300k) but a build nonetheless. In summary: European shares fall with autos and banks underperforming and utilities, travel & leisure outperforming. The Swiss and Italian markets are the worst-performing larger bourses, Germany’s is the best. The euro is stronger against the dollar. Japanese 10yr bond yields fall; German yields decline Germany seels 5 years debt at a negative yield for the first time ever. Commodities decline, with WTI crude, copper underperforming and silver outperforming. U.S. mortgage applications, new home sales, mortgage delinquencies, mortgage foreclosures, due later. Taking a look at the day’s calendar, it’s quiet in the Euro-area this morning with just French consumer confidence for France due. Draghi speaking this afternoon in European parliament however will most likely attract attention. Over in the US we’ve got new home sales data to look forward whilst Yellen is also due to speak again, this time to the House Financial Services Committee. Historically the second day’s testimony is a repeat affair with less likelihood of market moving themes given the prior day’s discussion. Treasuries gain, 10Y yield below 2% in extension of rally spurred by Yellen comment that Fed needs confidence on recovery and inflation before beginning to raise rates; auctions continue with $13b 2Y FRN, $35b 5Y; WI 1.465% vs. 1.288% in Jan. It took a lot of skill for Mrs Yellen to ensure that both the hawks and doves in the market could claim victory after her testimony yesterday. We think it was slightly dovish due to her inflation comments but others we respect think it more hawkish. Indeed the hawks would point towards the upbeat tone surrounding the labour market as well as the overall more positive economic outlook in the US. In addition the text around forward guidance would be of most interest to the hawks. Specifically Yellen commented that should economic conditions improve as anticipated, the Fed will consider an increase in the target rate on a meeting by meeting basis but would beforehand alter the forward guidance provided to markets. Yellen went on to say that ‘it is important to emphasize that a modification of the forward guidance should not be read as indicating that the Committee will necessarily increase the target range in a couple of meetings. Instead the modification should be understood as reflecting the Committee’s judgment that conditions have improved to the point where it will soon be the case that a change in the target range could be warranted at any meeting’. So the hawks would point towards there being sufficient evidence and a case to be made that we could see the ‘patience’ language dropped and possibly as soon as the March meeting, which in turn means June is in play. On the other hand, the doves would argue that Yellen’s comments were more aimed at gaining the necessary flexibility to react rather than being tied to any particular time frame. Clearly a large part of the focus will be on the data and the doves would argue that on the whole macro prints generally have been unsupportive for a rate move. The lack of wage growth is clearly a concern and one which is holding back labour market data on balance. Also Yellen’s comments that ‘before raising rates, we will want to feel confident that the recovery will continue and that inflation is moving up over time’ puts some emphasis on the need to see clarity of the recovery in inflation prior to a hike. So it all might rest on inflation and interestingly tomorrow sees a strong possibility that we might see a negative headline YoY CPI print. Given Yellen also said they’re looking at all measures of inflation then maybe we need to see this start to recover over the months ahead before the FOMC pull the trigger. So all in all a fairly balanced tone from Yellen, with a case to be made that it neither favours the hawks nor the doves and instead leaves the Fed in a position of flexibility with no particular bias either way as of right now. If you think inflation is going to pick up soon then maybe you can read it hawkishly. If you think low inflation is here for a while longer then you’re a dove! In terms of the market reaction, the S&P 500 recorded a fresh record high after closing +0.28% whilst the Dow added +0.51% to also mark a fresh record high. There were sharper moves in Treasuries however as yields rallied across the board. Indeed 3y (-6.5bps), 5y (-8.5bps), 10y (-7.7bps) and 30y (-6.5bps) yields all closed tighter. In fact 10y yields actually widened 4bps immediately following the speech, before then rallying into the close and perhaps supporting those on the dovish side. Given the shift down in the yield curve, the moves suggested a more dovish speech than expected. There were similar moves in the Dollar as the DXY bounced as much as +0.4% intraday before paring those gains to finish down 0.1%. Meanwhile, turning over to the latest in the Greek saga, yesterday we learned that the Eurozone had approved the latest reform proposals from the Greek government. Whilst a step in the right direction, as we’ve previously mentioned the key will be the actual substance behind the proposals for which the current government has an end-April deadline to act by. In the mean time, yesterday we also heard echoes of caution from various European officials yesterday with the IMF’s Lagarde in particular saying that the list is ‘not very specific’ and didn’t portray ‘clear assurances’. A statement issued by the Eurogroup meanwhile said that ‘we call on the Greek authorities to further develop and broaden the list of reform measures’. We’ve already heard of some potential tension in SYRIZA itself so it’ll be interesting to see how things progress as Tsipras and Varoufakis start talks internally, but clearly there is still much for Greece to do. It’s also not entirely clear how Greece will fund itself through the month of March with suggestions that they will run out of cash shortly after the end of this month (Bloomberg). This could in effect force Greece to agree on things much earlier than the end-April deadline or we could see an increase in the T-Bill issuance cap. Some near term attention will now also turn to Greek banks where Bloomberg reported that the ECB would be unlikely to wait until at least its next policy meeting on March 5th before making a decision on restoring the collateral waiver and allowing Greek banks direct funding. Equity markets in Europe firmed with the approval news though. Having traded relatively subdued for most of the morning, the bulk of the gains came shortly following the headlines with the Stoxx 600 (+0.56%), DAX (+0.67%) and CAC (+0.50%) all finishing higher. The Stoxx 600 in fact closed higher for the 6th consecutive day and extended its 7y highs. The index is now +13% through 2015 already whilst the DAX and CAC have similar year-to-date returns. On the other hand and despite reaching record highs, the S&P 500 is +2.8% through 2015 so far. Elsewhere, Greek equities (+9.8%) were a notable outperformer yesterday with banks (+17%) leading the way. 3y and 10y yields for Greece meanwhile rallied 221bps and 55bps on the better sentiment. Peripheral 10y yields meanwhile were 2-4bps tighter and the Euro closed relatively unchanged at $1.134 – although in reality bounced around with Greek headlines and Yellen’s comments. Away from Greece and Yellen yesterday, it was actually a fairly busy day data wise. In Europe Germany reported no change to their final Q4 GDP reading of +1.6% yoy. Our European colleagues have however raised their growth target for Germany in 2015 to 2.0% from 1.4% previously. They note that the upgraded forecast reflects the stronger carry over effect from the Q4 reading. The team has also raised their Q1 2015 forecast to +0.5% qoq from +0.3% qoq previously. Elsewhere the final January CPI print for the Euro-area was confirmed at -0.6% for the headline and +0.6% for the core. French manufacturing confidence (99 vs. 99 expected) meanwhile was in line with consensus however business confidence (94 vs. 95) was a touch below expectations. Over in the US, the S&P/Case Shiller home price index came in higher than consensus (+4.46% vs. 4.30% expected) whilst the services PMI bounced 2.8pts to 57.0 (vs. 54.5 expected) for February. Elsewhere, the consumer confidence print for February disappointed, falling 7.4pts to 96.8 and backing up recent falls in other confidence indicators. Finally there was also softness in manufacturing with the Richmond Fed manufacturing index for February falling 6pts to 0 – the lowest reading since March last year. In terms of the trading this morning in Asia, bourses are largely following the US lead and trading firmer as we type. The Kospi (+0.69%), ASX (+0.30%) and Hang Seng (+0.36%) in particular are all trading stronger. Meanwhile equity markets in China – having reopened after a break for the New Year holiday- are softer despite a better than expected manufacturing PMI reading (50.1 vs. 49.5 expected). The Shanghai composite is -0.12% as we got to print. Taking a look at the day’s calendar, it’s quiet in the Euro-area this morning with just French consumer confidence for France due. Draghi speaking this afternoon in European parliament however will most likely attract attention. Over in the US this afternoon, we’ve got new home sales data to look forward whilst Yellen is also due to speak again, this time to the House Financial Services Committee. Historically the second day’s testimony is a repeat affair with less likelihood of market moving themes given the prior day’s discussion. Modestly higher than the ‘contractionary’ 49.7 print in Janauary, February’s Markit (flash) China Manufacturing PMI printed at 50.1 (beating expectations of a drop to 49.5). However, before global investors pop the proverbial champagne corks of global recovery, we note thatemployment’s drop accelerated, New Export Orders contracted the most since June 2013, and prices continued to fall. Of course, HSBC is careful to note that “more policy easing is still warranted” because they believe, “domestic economic activity is likely to remain sluggish and external demand looks uncertain.” For now Chinese stocks are holding losses after the lunar new year and the Yuan has weakened further near 30 month lows – once again testing the upper 2% fix band. … there has been a flurry of outrage from all sides, all quite understandable, because if indeed it wasn’t the Greeks who created the memo then it merely confirms that Greece not only has no stated sovereignty, but it isn’t even permitted to draft its own memos. What the apologists of this phenomenon claim is that the “Author” of the pdf document is not the creator of the Doc file but the person who received the Doc file and converted it to pdf. A perfectly reasonable explanation, and one that would make sense: after all Yanis Varoufakis may have simply sent to the European Commission his final word document, which was then converted to a pdf for broad distribution. There is only one problem with this explanation: it is wrong. The reason it is wrong is because the metadata of pdf files follows the creator of the original doc file, not the creator of the pdf file. … then save it, and proceed to convert it to a pdf. What the pdf will show, regardless if the default user “Tyler Durden”, or anyone else for that matter,converts the doc file into a pdf, is that the author is the specific user who created the doc file, in this case “European Commission Bureaucrat” and not the default pdf owner/author. This is because the pdf creation metadata follow the creator of the original underlying file, not the creator of the pdf: there is no break in the chain of authoriship/ownership just because someone else took one’s doc and made it into a pdf. In other words, the generic “explanation” by those who wish to make it seem that it may well have been Varoufakis who drafted the doc file but it was simply some European Commission bureaucrat who converted it, falls apart. To be sure, it is distinctly possible that someone hard-changed the actual “authorship” metadata after the fact, but that would make matters even worse. Of course, it is impossible to know if the doc file was created in Brussels as a blank then sent to Vaourfakis to fill out and convert to pdf, but that would also be a very problematic explanation. There are also many other explanations which may validly ascribe ownership of some/all of the created content to the Greek FinMin, and creation of the doc file to the Troika, which we leave to readers to pursue. In conclusion, that there is a very simple resolution to all of this: Declan Costello, who is named as the author of the “Greek” memo, should state publicly whether or not he drafted, saved and made into a pdf the doc file with the Greek reforms, or if his name appears in the metadata purely by accident. Considering the amount of consternation that this issue appears to have generated, it would certainly bring the topic to a prompt closure. And after all, isn’t the whole point of “reporting” is to get to the bottom line, especially when the implications are substantial as in this case, and not to dismiss anything, however strange it may be, as merely too strange to investigate because it “just doesn’t make sense.” Unless, of course, one has prior advertising arrangements with HSBC, or the European Commission, or perhaps some of its countless financial backers. In which case we, too, are perfectly happy to let this whole topic go especially if there is no public interest in it whatsoever. 1. Greece will run out of money in March and Germany will not allow any more funding until they show the willingness to stop the tax evasion. 2. The German Bundestag has 60 members that will not vote on Friday for the extension. They claim that in July, (correctly) that Greece will need another 20 billion euros. Greece may be completely insolvent in March as it runs out of cash. Expect a disharmonious GREXIT and that should cause considerable harm to the EU. “The question now is whether one can believe the Greek government’s assurances or not. There’s a lot of doubt in Germany, that has to be understood,” said Schaeuble who despite his misgivings, he has urged German lawmakers to approve the Greek extension in a vote in parliament expected on Friday. In other words, Greece may have bought itself a 4 month bailout extension on paper, but in practice unless it succeeds in boosting its tax collections in the coming days, its state coffers – already on the verge of being completely empty – will run out of cash, and Greece will then really have no choice but to declare full insolvency. The only question is how much longer will the Troika continue its “pass-thru” funding operations, where it gives Greece aid so that Greece can pay interest and maturities on Troika debt? And then there is the issue of whether the proposed Greek bailout extension will even pass a Bundestag vote:according to Rheinische Post, up to 60 government members will vote against the Greek bailout on Friday when the vote on the extension is due, following reports that Greece now expects a third bailout in the summer amounting to at least €20 billion. Indeed, for most Greeks tax evasion isn’t considered a serious crime and there is little stigma attached to getting caught, unlike in other European countries or even the U.S.
Kosmas, a 32-year-old chef in Athens, says his income taxes are automatically deducted from monthly paychecks. But every time he buys something and he is given an option topay less if he doesn’t ask for a receipt, he says yes. The government’s tax-revenue shortfall in January alone was 23% below its €4.5 billion target for the month. Last week, the government outlined plans to forgive up to 50% of individuals’ tax arrears, a sign would make good on its campaign rhetoric. Syriza would risk a popular uprising by the very people who put it into power if it were to back away from those policies and get tough on taxes, political analysts warn. Even within the government’s own ranks, officials say Syriza can’t risk tougher enforcement. The reason isn’t just political, but economic. “The Greek economy would collapse if the government were to force these people to pay taxes,” said one senior government official. Greece admitted on Wednesday it will struggle to make debt repayments to the IMF and the European Central Bank this year as Germany’s finance minister voiced open doubts about Athens’ trustworthiness. A day after euro zone finance ministers agreed to a four-month extension of a financial rescue for the currency bloc’s most heavily indebted member, Finance Minister Yanis Varoufakis gave a frank assessment of Greece’s financial position. “We will not have liquidity problems for the public sector. But we will definitely have problems in making debt payments to the IMF now and to the ECB in July,”he told Alpha Radio. It seems that nobody believes the Greeks will do the things they promised. To me it looks like they will run out of cash in March and nobody will advance the funds they need. They will then default. If “everything is awesome” in Greece (and Europe) then why – oh why – did Greek government bond yields surge higher today, Greek stocks tumble, Greek bank stocks (and less so bonds) collapse, and Greek CDS jump? It appears that as the euphoria relief wears off, as WSJ reports, doubts over the willingness of Greece’s left-wing government to follow its creditors’ orders on budget cuts and economic overhauls spilled into the public today. IMF’s Lagarde stated that the Greek proposal “is not conveying clear enough assurances that the government intends to undertake the reforms,” and even Syriza officials admitted, “it is difficult to determine how the government can fulfill its promises, including the debt write-off, with this agreement,” as doubts arise across Europe’s policymakers and markets. German Finance Minister Wolfgang Schaeuble said on Wednesday that there were doubts in Germany about Greek government’s credibility over debt issue. The minister said Eurogroup’s decision on Tuesday to extend aid program for Greece until end of June was “not easy” for creditors, nor for Greek government. “Now the question is: Can you believe the assurances of the Greek government or not? There are many doubts in Germany, this must be understood,” Schaeuble said in an interview with German SWR2 radio. A poll by INSA institute showed on Wednesday that only 21 percent of Germans support the extension of aid program for Greece. Bundestag, the lower house of German parliament, was due to vote on the deal on Friday. Though Chancellor Angela Merkel’s governing coalition of CDU/CSU and SPD holds the majority in the parliament, skeptical voices were heard on Wednesday. CDU’s economic council sent a letter to parliament members to urge them not to support the extension. “We must not fear of a blackmail from aid we have already paid,” read the letter cited by Frankfurter Allgemeine Zeitung newspaper. In an interview with Passauer Neue Presse newspaper, CDU politician Wolfgang Bosbach warned that he would vote against the extension on Friday. Schaeuble said euro zone finance ministers’ decision on Tuesday gave Greece more time to fulfill its reform commitments made to international creditors. Currency trading is halted in the Ukraine as they enter hyperinflation. At one point this morning the UAH was 33.00 to the dollar. After controls it rose to 28.50 per dollar ‘officially’ (not it’s true rate). In the black market: 39 UAH per dollar. Although banks could still trade with each other, by mid-morning there were no registered trades at any rate, leaving the currency in limbo. The previous day, the central bank rate based on reported trades had fallen 11 percent against the dollar. Exchange kiosks on the streets in Kiev were selling limited amounts of dollars for 39 hryvnias, around 20 percent worse than the rates advertised in the windows of commercial banks where dollars were not available. This compares to the official rate of 33 USDUAH posted yesterday, a rate which will continue in freefall, now that the central bank has no more gold left to sell (it’s mysteriously gone), and virtually no foreign reserves. Following the closing of the FX market closing, the central bank has been able to artificially dictate the interbank rate, which it reduced from 32 to 24 hryvnias as of 12:45 p.m. local time. The artificial rate only affects exporters, who are forced to sell 75 percent of their foreign currency revenue to the National Bank at the rate. Even the Ukraine government is shocked by what is going on: “I learned this morning on the Internet that the National Bank of Ukraine has, as usual on its own without any sort of consultations, made the decision to close the interbank currency market, which will absolutely not add to the stability of the national currency that the national bank is responsible for. This situation has a very complex and negative influence on the country’s economy,” Ukrainian Prime Minister Arseniy Yatsenyuk said. The Ukrainian National Bank chairwoman Valeriya Hontareva, however, contradicted the Prime Minister’s statement. “We coordinate all administrative measures with the International Monetary Fund first, and only then implement them,” Hontareva told reporters. In short: total chaos, which is indicative of any country’s collapse into the hyperinflationary abyss. It gets better. According to RIA, on Tuesday, Ukrainian television channel Ukraina announced that with the new exchange rate, the minimum wage in Ukraine stands at around $42.90 per month, which according to the channel, is lower than in Ghana or Zambia. There are currently no plans to raise the minimum wage until December. Raul Meijer now tackles the Ukrainian crisis and the total funds that this country needs. Ukraine has been promised 40 billion uSA of which 17.5 billion comes from the iMF and the remainder 22.5 billion is coming from the EU. How are these funds going to be paid? Many EU countries are already upset with previous funding and now they will be getting a bill for further Ukrainian needs. an excellent report on the current status of funding for the Ukraine..
Riddle me this, Batman. I don’t think I get it, and I definitely don’t get why nobody is asking any questions.The IMF and EU make a lot of noise – through the Eurogroup – about all the conditions Greece has to address to get even a mild extension of support, while the same IMF and EU keep on handing out cash to Ukraine without as much as a whisper – at least publicly. Of the two countries, Greece, despite its humanitarian issues, is by far the luckiest one.Ukraine is quite a few steps further down the hill. One can be forgiven for contemplating that the west, aided by President Poroshenko and the Yats regime in Kiev, is dead set on obliterating the entire nation. Back in March 2014 we forecast that it in the aftermath of the US State Department-sponsored military coup in Kiev, it was only a matter of time before Ukraine (all of its sovereign gold having since “vaporized“) succumbed to full blown hyperinflation and economic implosion. Less than a year later, precisely this outcome has finally played out, and as a result, the entire nation has finally entered its economic endgame, one which has two conclusion: either it joins Greece in becoming a ward of Europe (of which it is not an official member) and the IMF (thank you Joe Q Public taxpayer), or it quietly fades away into insolvent “failed state” status. This is in a nutshell the assessment by Goldman Sachs, presented below, which really doesn’t say much we didn’t cover earlier in “Ukraine Enters Hyperinflation: Currency Trading Halted, “Soon We Will Walk Around With Suitcases For Cash“, but which does lays out the (very unpleasant) alternatives for yet another nation brought to ruin through American neo-colonial expansion, in what may well be a record short period of time. Of these, the primary ones focus on yet another IMF bailout which the agency may find some resistance to as a result of the near-total collapse of Greece at the same time. And not only that but Goldman’s “base case of IMF fund disbursement in mid-March may not come quickly enough to stabilize the Hryvnia.” Oops. Hence our question to Ukrainians: was the coup worth the economic disintegration of your nation, and leaving your faith in the hands of the US, whose recent global intervention case-studies include such sterling examples as Libya, Egypt and Iraq? And before we present the Goldman piece, here is something truly funny: in discussing the causes of the collapse of the Ukraine currency, Goldman lays out “monetary financing of Ukraine’s fiscal deficits” as one of the reasons. While monetary financing of the deficit may debase the value of the Hryvnia in the medium term, it is the shortage of FX in the system that has caused the proximate pressure on the currency, as NBU reserves declined to US$6.4bn in January (4 weeks of imports) and are likely to decline to US$5-5.5bn in February (3 weeks of import cover). These international reserves include about US$1bn in monetary gold, so the liquid amount of reserves is likely to fall to US$4-4.5bn in February (2.5 weeks of imports). So why is it that funny? Because as the chart below shows, it is not just Ukraine that is engaged in “monetary financing of its deficit” – so is the entire developed world to the point where central banks will buy up every single dollar of debt government have to issue (and thus fund deficits) and then some! In other words, we now live in a world in which the entire global fiscal, and every other, debt-funded deficit is being plugged by central banks! Therefore, for anyone curious what will eventually happen to the world’s various fiat currencies, look no further than the UAH. The Hryvnia weakened over the weekend to UAH 30 vs. the USD, prompting the Ukrainian authorities to tighten FX controls and to intervene by a reported US$80mn today, and causing a further weakening of the currency to UAH 40 on the black market as of this morning. While pressures have subsided somewhat (with black-market, mid-market spot now around UAH 33), in our view, the current FX controls are only likely to provide temporary relief to the currency and, thus, introduce risks that the authorities could tighten FX controls further. Given that capital flight, debt repayments, ongoing imports and a destabilization of expectations in the FX market are likely to continue exerting pressure on the Hryvnia in the coming days and weeks, our base case of IMF fund disbursement in mid-March may not come quickly enough to stabilize the Hryvnia. In our view, this could cause the authorities to resort to more severe FX controls and/or could cause international donors aware of the fragility of the situation to make available emergency funds in order to serve as a bridge until IMF loans arrive. The Ukrainian authorities have put in place an array of FX controls since late 2012, including the mandatory sale of FX proceeds, bank FX withdrawal limits, FX bank transfer limits, and de facto restrictions on access to NBU FX provision for banks. The latter restriction caused the black-market Hryvnia rate to be 20-30% weaker than the official rate in recent months, but was dismantled in early February, leading to a sharp depreciation of the Hryvnia and aligning the official exchange rate to the black-market one. Despite these restrictions, the Hryvnia continued to weaken last week, with the official rate reaching UAH 27.9 vs. the USD as of February 20 and the black-market rate rising to UAH 31 over the weekend. As a result, in the past week, the authorities have stepped up their FX controls significantly. The government discussed imposing a duty on non-essential imports last week and the NBU earlier this week increased scrutiny and put into place checks on import pre-payments exceeding US$50,000 (and required a letter of credit from an investment-grade-rated bank for those exceeding US$500,000), while also banning leveraged FX purchases by corporates. The Hryvnia continued to weaken in response to these measures, to UAH 35 vs. the USD yesterday on the black market, and the NBU accordingly introduced further restrictions, including a complete ban on corporate purchases of FX through end-week and restrictions for banks as well. The initial response to these measures was a sharp weakening of the Hryvnia on the black market to in excess of UAH 40 vs. the USD this morning, but the end-day rate has now settled down to around UAH 33, although the bid-ask spread has widened sharply to about 15% of the mid-market price, indicative of very poor liquidity conditions. While the official rate had been aligned with the black market during the period February 6-21, it has returned to being about 20% stronger than the black market in the past several days. Net private capital outflows (excluding net IMF/official sector flows), which stood at an estimated US$10bn in 2014. This number excludes US$3.7bn in repayments to the IMF and about US$4.5bn in debt service on external sovereign bonds. Current account and trade deficits, due to the collapse in exports and despite the fact that domestic demand has weakened sharply. Monetary financing of Ukraine’s fiscal deficits. While Ukraine’s current account and trade balances should close as domestic demand continues to contract and as the Hryvnia has weakened further, capital flight continues, with bank FX deposit outflows of US$600-700mn/month in November-January. Moreover, monetization of the deficit has accelerated as local banks are no longer able to absorb domestic bond issuance. The share of domestic government bonds owned by the NBU has risen to 71% in January, from 59% one year prior, with the share held by domestic banks falling by the same amount (to 20%). Meanwhile, narrow money continues to grow at around 15-20%yoy, at a time when domestic credit is now contracting by 10%yoy. While money supply growth in the mid-single digits in a context of weak credit growth may have been offset for most of 2014 by large-scale FX interventions by the NBU, withdrawing liquidity, FX interventions have slowed in H2-2014 and the NBU reportedly stopped intervening in February (although it intervened once again by US$80mn today). This has caused assets on the NBU’s balance sheet to grow by about 60%yoy in recent months and by 8%mom in January (seasonally-adjusted). In our view, with the economy and cash demand weakening, domestic credit shrinking and an absence of liquidity withdrawal via interventions, money supply growth at the current pace will ultimately prove inflationary and will cause the Hryvnia to weaken further. In our view, while the current FX controls may provide some temporary relief, pressure is likely to continue to build on the Hryvnia until expectations stabilize, confidence is restored, and the country’s FX reserves are replenished. Given the poor liquidity and destabilization of expectations in the FX market, the ongoing conflict in Donbass that undermines confidence, and the continued need to import natural gas and other essential goods and make external debt payments, these factors are likely to continue to exert pressure on the Hryvnia, at least until the IMF Board approves the newly-agreed program and makes its first disbursement. However, this will likely take at a minimum 2-3 weeks and there are risks of delays. First, the authorities must fulfil their prior actions for the program, and notably the Rada must approve a new budget law. This is scheduled to take place in a session on March 3, although PM Yatseniuk is attempting to accelerate this process by holding an extraordinary Rada session to approve the legislation. Even if the session is moved forward, in our view, there is no guarantee that the law will be approved immediately and delays are possible. Once prior actions are fulfilled, the IMF Board can meet, approve the new program, then disburse funds shortly thereafter. Our base case is that this will take place in mid-March (the current board review date is reportedly scheduled for March 11), although it is possible that this could be delayed. With the current pace of reserve depletion and pressure build-up on the Hryvnia, it is possible that the IMF funds may not arrive quickly enough. This raises the short-term risk of a significant further increase in pressure on the Hryvnia. Given the balance of payments and monetary pressures on the currency, the authorities and international donors, in our view, have several policy options. First, the Ukrainian authorities could tighten FX controls further. In the extreme, this could potentially involve a bank deposit freeze, a ban on retail FX purchases and/or moratorium on external payments and complete closure of the capital account. Second, international donors (bilateral lenders and IFIs) could recognize the fragility of the current situation and the fact that the IMF timeframe may prove to be too slow to stabilize the currency. Thus, in our view, the international community could make available emergency funds in the coming days or weeks, effectively bridging financing for Ukraine until the IMF disbursement arrives. However, bureaucratic, legal and political hurdles may exist to any large-scale emergency disbursement to Ukraine, either bilaterally or multilaterally. Thus, there is no guarantee that such emergency funds could or would be made available. This introduces further short-term policy uncertainties. Finally, the recent and sharp weakening of the Hryvnia, as well as significant recent shifts in money demand and supply, could necessitate an overhaul of some of the IMF’s program assumptions and targets. In our view, this could require further technical work on the part of the IMF and could cause additional delays to disbursement of IMF funds. As the monetary and financial dynamics evolve rapidly, so may the IMF’s working program assumptions and the parameters of the program. This morning in Europe, the euro is up, trading now well below the 1.14 level at 1.1346 as Europe is supported by other nations keeping the Euro afloat, Europe reacts to deflation, announcements of massive stimulation, the Greek crisis and today crumbling bourses . In Japan Abe went all in with Abenomics with another round of QE purchasing 80 trillion yen from 70 trillion on Oct 31. The yen continues to trade in yoyo fashion as this morning it settled up again in Japan by 6 basis points and settling well below the 120 barrier to 118.86 yen to the dollar. The pound was up this morning as it now trades just above the 1.54 level at 1.5493. (very worried about the health of Barclays Bank and the FX/precious metals criminal investigation/Dec 12 a new separate criminal investigation on gold,silver oil manipulation and now the HSBC criminal probe). The Canadian dollar was well up again reacting to the slightly higher oil price and is trading at 1.2411 to the dollar. It seems that the 4 major global carry trades are being unwound. (1) The total dollar global short is 9 trillion USA, and as such we now witness a sea of red blood on the streets as derivatives blow up with the massive rise in the dollar against all paper currencies.We also have the second big yen carry trade unwind as the yen refuses to blow past the 120 level. (3) the Nikkei vs gold carry trade. (4) short Swiss Franc/long assets (European housing), the Nikkei, etc. These massive carry trades are terribly offside as they are being unwound. It is causing deflation as the world reacts to a lack of demand. Bourses around the globe are reacting in kind to these events as well as the potential for a GREXIT. USA dollar index early Wednesday morning: 94.35 down 14 cents from Tuesday’s close. Your closing Spanish 10 year government bond, Wednesday down 3 in basis points in yield from Tuesday night. Spanish 10 year bond yield: 1.39% !!!!!! trading 7 basis points higher than Spain. Your closing USA dollar index: 94.22 down 27 cents on the day. Closing USA/Russian rouble cross: 61.18 up almost 1 3/4 roubles per dollar on the day. closing UKrainian UAH: (hryvnia) 28.15 UAH to the dollar. However real rate is around 39 UAH per dollar. Since November the currency has lost more than half its value. he biggest scandal in today’s release of Hewlett Packard Q1 earnings was not that, just as the Nasdaq is knocking on 5000’s door, it reported revenues of $26.8 billion missing consensus expectations of $27.3 billion, while beating non-GAAP EPS by 1 cent to $0.92 (up from $0.90 a year ago) entirely due to a massive reduction in outstanding stock and some truly gargantuan non-GAAP addbacks (GAAP EPS declined from $0.74 a year ago to $0.73) pushing the stock down 7% after hours. Incidentally, just 10 years ago Hewlett Packardemployed a total of 58,000 people in the entire US. So why is the company axing 58 thousand workers? Simple: so it can cut enough costs on top and continue to fund its now exponential surge in stock buybacks,which in the just concluded quarter was a record $1.6 billion, an increase of 178% from a year ago, and 66% more than the company spent on CapEx,in the process making its shareholders even richer while its management team get massive equity-linked bonuses. When existing home sales missed expectations, the fault was laid squarely at the foot of the meteorological conditions (despite a rise in NorthEast sales). New Home Sales beat expectations in January, printing 481k vs 470k expectations (though very modestly lower than December’s revised 482k) and – destroying the meme that weather is to blame – sales soared in The Midwest. Median prices dropped MoM to the lowest since September but remain up an impressive 9% YoY. Lack of inventory continues to be blamed for weak sales – but, we ask rhetorically, doesn’t price rise when supply drops? Last week, when with much amusement we observed that the first of many Q1 GDP cuts due to snow… in the winter… had taken place just as predicted when Goldman warned snow (in the winter) may lead to a 0.5% drop in GDP, we hinted that with snow down, faltering Q1 GDP will need all the scapegoating help it can get, and that the West Coast port strike will be used next to justify the sequential tumble in GDP from 5% in Q3 to barely above 2%, and falling, in Q1. Because what above-trend growing economy can possibly handle a few extra feet of snow? What really!? Laughter aside, expect another round of GDP cuts by the, how did we put it,“laughable cadre of propaganda sycophants known as tenured and/or Wall Street economists” due to not only snow in the winter, but also the West Coast port strike as predicted here 2 weeks ago, to take place in 2-4 weeks, once the reality of the latest sharp US slowdown filters through their goalseek-o-trons. Problems with the West Coast seaports have been building since the fall of last year, due to a combination of capacity constraints and labor disputes. The situation deteriorated significantly in January and February, as an apparent work slowdown on the part of the dockworkers’ union (ILWU) escalated to employers cutting back on hours and ultimately closing 29 ports for four of five days around Presidents’ Day weekend. Although data are not yet available for February, the total number of “twenty-foot equivalent units” (TEUs) processed through the major West Coast ports appears to have fallen by 20% or more during January. (One TEU equals one 20”x8”x8” shipping container.) The disruptions were noticed in different sectors of the economy, as reflected in respondents’ commentary in the January ISM manufacturing survey, for example. Although a tentative deal was reached between the ILWU and the PMA (the organization representing port owners) on Friday, February 20, the damage to port activity in January had already been done, and our transport equity analyst believes that even the six- to eight-week timeline for clearing up the backlog suggested by the Port of Oakland appears to be aggressive. By way of background, four of the top 10 largest US ports by value of imports—Los Angeles, Long Beach, Seattle/Tacoma, and Oakland—were affected by the labor dispute (Exhibit 2). These ports are particularly important gateways for Asian goods imports to the US, handling a reported 70% of this trade volume. The most direct impact on US economic data in the coming weeks will probably appear in the January trade report. Because the US runs a net trade deficit with Asia, and because US exports are geared to a larger extent toward services and air-shipped goods rather than seaborne goods, the West Coast port disruptions can be expected to temporarily reduce the trade deficit in January. Indeed, the 11-day ILWU strike in October 2002—which affected the same ports as the most recent labor dispute—seems to have contributed to both a decline in goods exports (-$800mn) and goods imports (-$2.5bn), resulting in a net +$1.7bn temporary “improvement” in the goods trade balance. The case for a narrower trade deficit in January was already strong, in our view, given the suspicious jump in real petroleum imports in December and the continued drop in petroleum import prices through January. Adding in the effect of port disruptions, our preliminary forecast for January is a large $8.6bn improvement in the nominal trade deficit to -$38bn. This estimate accounts for the fact that some activity was likely diverted to other ports. However, any “benefit” from the smaller trade deficit will probably begin to reverse by the end of March, by which point substantial progress should have been made in processing through the backlog of ships waiting to unload at West Coast ports. In addition, higher net exports (a positive for GDP) will probably be met with lower inventory accumulation (a negative for GDP), as consumer end demand remains little changed. More serious problems occur when the disruptions last for a longer period of time.First, some exports cannot be stored in inventory indefinitely, such as fresh fruits and vegetables. This production may be lost for good if the shutdown persists, and would show up as an inventory write-off. Second, producers may be forced to reduce output due to supply chain disruptions. Our auto equity analysts have already noted that some Japanese companies with production located in the US have cut back on scheduled production in light of supply-chain issues. (However, disruptions are likely to be smaller than after the Fukushima earthquake in 2011, as companies have made more robust contingency plans following that experience.) Third, direct job and income losses among dockworkers could pile up. For example, about 20,000 dockworkers were affected by the recent disputes. Fourth, indirect multiplier effects could adversely affect other areas of the economy. Many media accounts have cited an estimate that closures of the Ports of Los Angeles and Long Beach could cost the economy $2bn/day, which looks to have come from an industry group study. (We interpret “cost the economy” to mean reduced GDP.) However, a detailed study from the CBO on the economic costs of disruptions in container shipments was highly critical of estimated effects of this size, and put the cost at a much lower $65 – $150mn per day. We gross up this estimate by a factor of 1.7x to account for the larger value of shipments now handled by the Ports of Los Angeles and Long Beach (vs. at the time of the CBO study), and the fact that—although representing the majority of West Coast port traffic—the remaining ports also matter. As a result, we would put the total cost of shutting down seaborne shipping to and from the West Coast ports at $110 to $255mn per day. Assuming that port disruptions in January and February were equivalent to two full weeks of a shutdown, and that dockworkers do not make up for lost time in March, this would imply a manageable GDP growth drag of around two-tenths of a percentage point in Q1. There is substantial uncertainty around this estimate, and it is highly sensitive to assumptions. For example, under an aggressive set of assumptions about the amount of perishable goods exports that may never be recovered, one could arrive at a two-tenths drag in Q1 through this channel alone. In light of the high degree of uncertainty we leave our Q1 GDP tracking forecast unchanged and will wait for any trade disruption-related effects to show up in the data before incorporating in our tracking estimate. In other words, once final Q1 GDP prints well below 2%, the economists army will immediately announce that upon adding back the “priced to perfection” non-GAAP benefits from non-snow and non-west coast strikes, then real GDP was almost if not in line with the 5% blast off rate recorded in Q3 2014 thanks entirely to Obamacare. We will see you on Thursday. And I never expected such delightful humor from Paul Craig Roberts. Go Paul! It reminds me of a neighbor we once had. There was a road up and across the street with gorgeous houses on it. It made a hair-pin turn and came back to the main road. At the hair-pin stood a beautiful walled estate owned by the great Muhammed Ali. The champ would run down his street, cross the road, and do his training runs through the large housing development next door to our farm. Tiny boys would be peering out their windows waiting for him. They would scamper out to the sidewalk, put on their meanest faces, and shadow-box the champ as he ran by. The gracious Mr. Ali would give them a playful evil eye and shadow box back at them. So there were a lot of tiny little boys in the elementary school bragging about how they boxed The Champ and were still standing. It is one of my most precious and adorable memories. Unfortunately, though so similar, the Ukraine-Russia confrontation is neither precious nor adorable. There are still pockets of people in Eastern Europe [and elsewhere though less clustered] where a mythology of ethnic superiority and greatness pervades all thinking. It grosses me out when I hear them brag. They hear nothing but their little-boy fantasy dreams. Those beliefs are at the foundation of nazi movements. This is what frightens Russia. Do you need drop shippping for your productt?